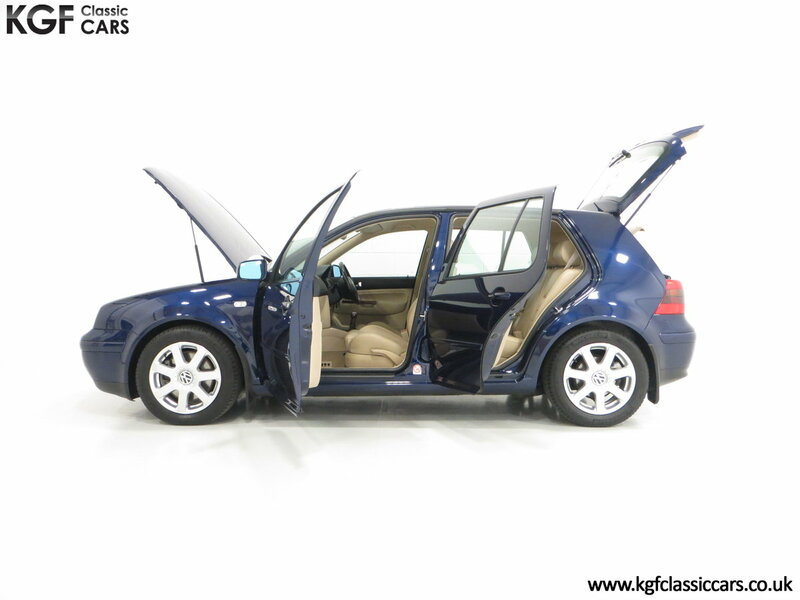 A luxurious Volkswagen Golf V6 4Motion with full VW history and 37,138 miles. Fully galvanised rigid body, side impact protection, driver, passenger and front seat airbags, remote central locking, rear wash/wipe, adjustable steering column, electric heated door mirrors, four electric windows, multi-function computer, Gamma radio cassette with 6 disc changer and 8 speakers, automatic dimming rear view mirror, electric air conditioning, power steering, lights on buzzer. 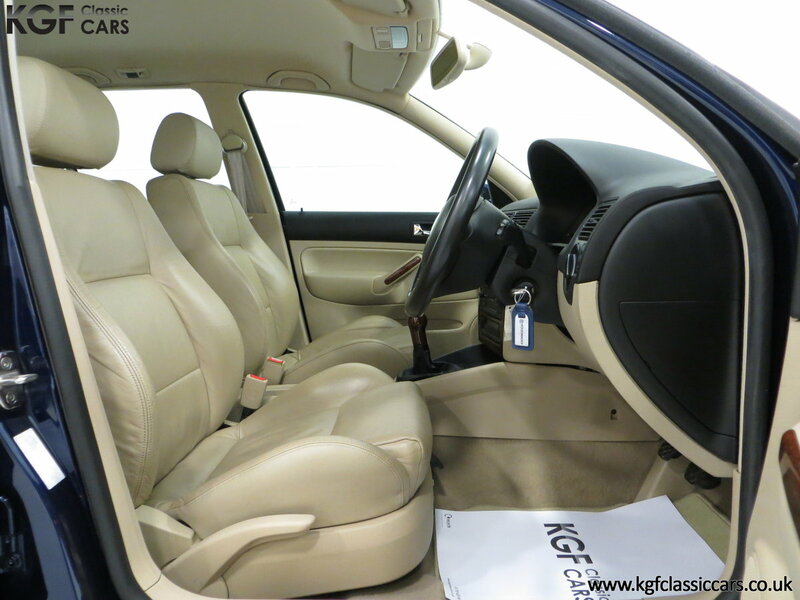 Factory Options: Leather interior with heated seats. Dealer options: VW Contoured Mudflaps, VW contoured carpet mats. 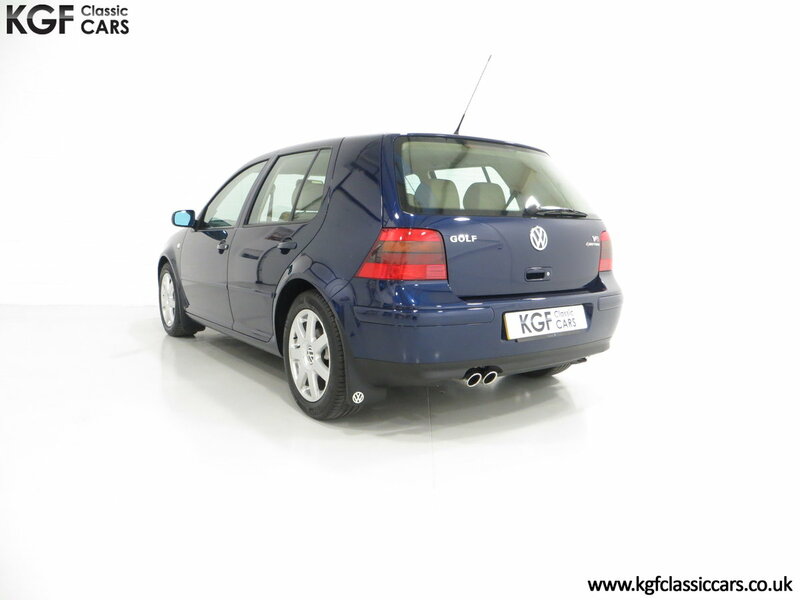 This rare and flagship VW Golf is finished in lustrous Indigo Blue, (Colour Code LB5N), and looks spectacular with a deep gloss shine and unmarked panels reflecting the pampered garaged storage and low mileage. Originality seekers will be delighted to see supplying dealer number plates front and rear, factory tint rear light lenses, chrome twin exhaust pipes and V6 and 4Motion badges all in pristine condition. Wheel arch apertures, door and boot shuts are spotlessly clean. 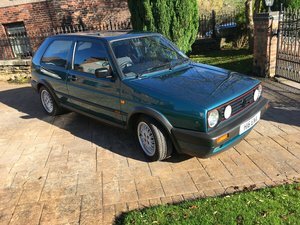 This model is a wolf in sheep's clothing with a discreet appearance and owners knowing that not even the GTi of the same period comes close in acceleration and top speed. The informed Gentlemans choice and a future classic. 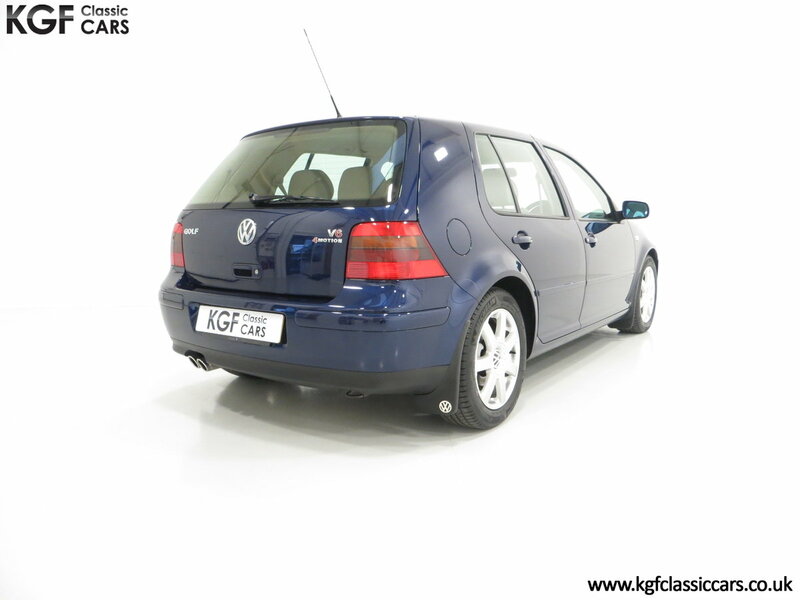 Optional sumptuous Beige Leather with heated front seats, (Code VW), offer immense comfort and support and show virtually no wear with only tiny hairline creases to the drivers bolster. An indication of the care bestowed on this example is the fitment of two sets of expensive VW standard beige carpet mats! The three spoke leather steering wheel, decorative burr wood inserts and unique wooden 4Motion gear knob are clues this model is very special. Equipment levels are impressive and the boot area is pristine with the factory code sticker firmly attached. A remarkable factory fresh cockpit defying its 19 years of age. 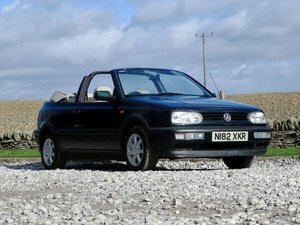 Sharing the same engine as the scintillating VR6 this front in-line transversely mounted V6 benefits from 4 valves per cylinder boosting power to 204bhp. 0-62mph is despatched in 7.1 seconds, (1.4 seconds quicker than the GTi), and a top speed of 146mph, (12mph higher than the GTi), are quoted. 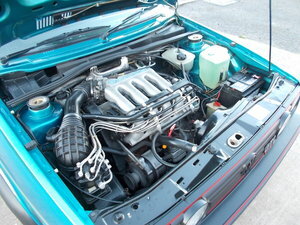 Impeccable and full VW service history ensure optimal performance and the engine bay is incredibly clean. Intelligent four wheel drive is mated to a 6-speed manual gearbox for incredible traction and safety, all of which operate with precision and lightness. Notable and unique 16 inch Le Mans alloy wheels are virtually unmarked and shod in the correct factory specified Michelin 205/55 R16 tyres to all four corners and have ample tread. Diagonally split braking circuits with ABS, EBD and ESP combined with ventilated discs front and rear provide immense stopping power, traction and safety. Astonishing in every aspect. 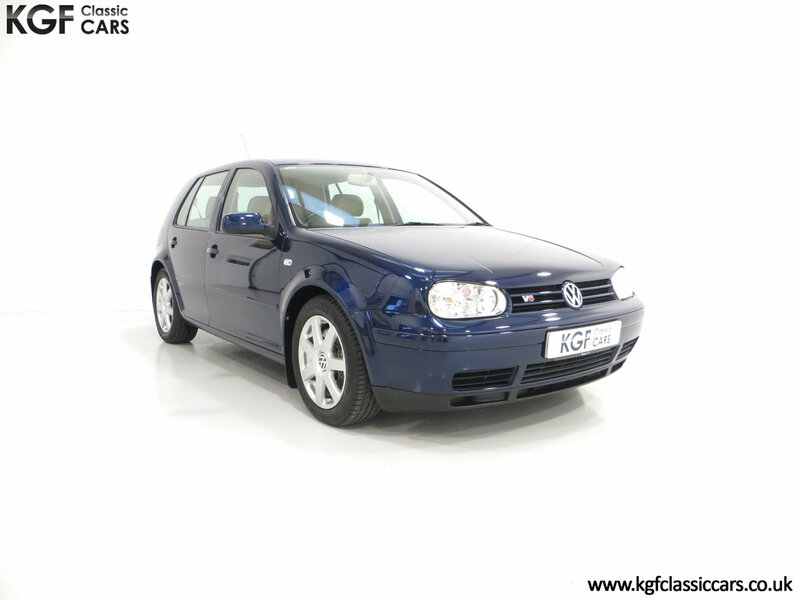 Registered new on the 22nd December 2000 by Skinners Volkswagen Main Dealers in Eastbourne, this example has returned to the same supplying Dealer from new for service and maintenance works. An incredible 17 entries are recorded across two service books, (a second book issued when the first filled up), to warrant the low 37,138 miles covered. The last entry was on the 4th October 2018 at 36,996 miles. All handbooks, manuals, brochures and spare keys are included. 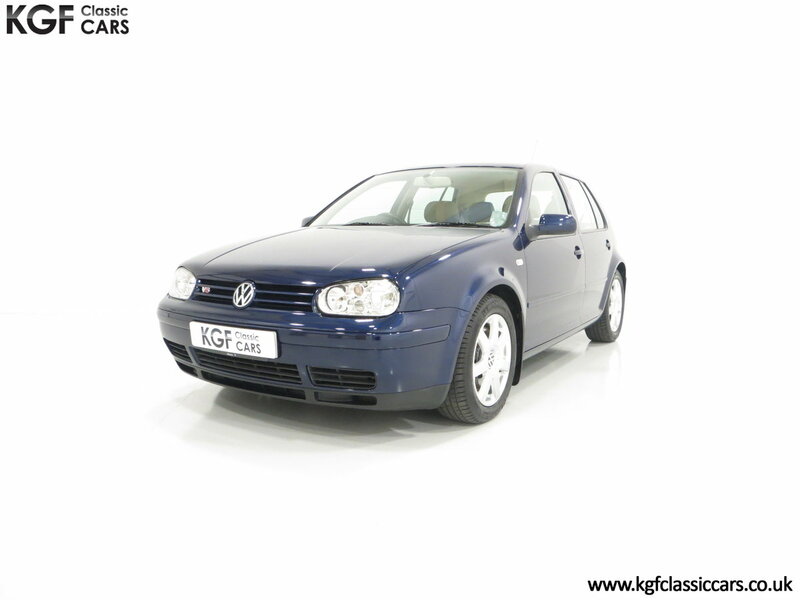 Pampered from delivery and clearly evident in both the condition and history, this example represents a rare opportunity to purchase the ultimate Mk4 VW Golf available at the turn of the New Millennium in pristine condition.